Neapolitan actor Ivan Boragine embraces everything that is Napoli. From his pride and passion to his nostalgia and sadness, Napoli is always in his heart. That is why his role in the popular Italian television series Gomorra has been the role of a lifetime. Not only has the worldwide broadcast (64 countries) skyrocketed him to fame, it has given him a way to bring to light the problems and corruption of one generation so that the next could have a better chance. I met with Boragine recently while I was in Rome. I found him to be down-to-earth and honest about the pride and love he has for his culture and also for his art. We spoke a lot about his hometown of Napoli and the impact the Neapolitan theater has had on actors. We also talked about his role in Gomorra and how it fuels his love for acting. Boragine got his start in acting a little over a decade ago when he landed a role in a local theater production of the Neapolitan classic, Miseria e Nobilità (Misery and Nobility). Although he was just a teenager, the experience made a big impression on him and ignited his passion for acting. Shortly thereafter, he enrolled in local acting courses at respected theater schools including Teatro Totò, and studied vigorously to perfect his craft. Soon, roles were being offered and he was on his way to pursuing his dream. He appeared in a number of television shows, such as RAI’s Un posto al sole and La squadra. 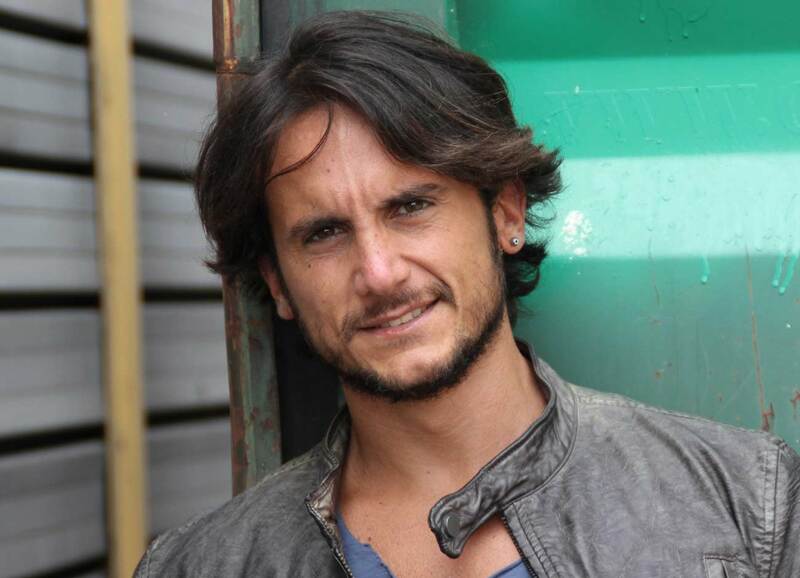 His life-changing role came as Michele Casillo in Sky Italia’s television series, Gomorra. 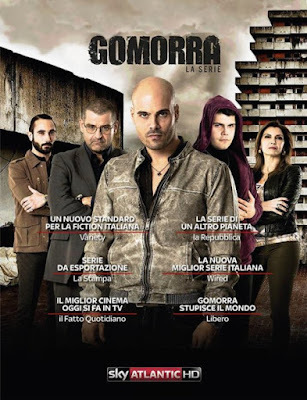 Launched in 2014, Gomorra is based on the book by Roberto Saviano, a journalist known for his writings about the Neapolitan mafia- and the film, Gomorra directed by Matteo Garrone. Set in Naples, the story follows a cast of characters ranging from gangsters to drug dealers to law enforcement and regular civilians. It is a fast-paced drama with sharp dialogue and intense, action-packed scenes- many not for the faint of heart. Boragine told me that although Gomorra is fiction, it shows a side of Napoli that does exist. This dark side has a grave effect on the youth of the city, many of whom choose a life of crime over a college education. He told me that he cries twice when visiting his city- when he arrives and when he leaves. Boragine has hope for the future of Napoli and that a show like Gomorra will help in some way to turn things around. During our interview, Boragine spoke about theater and its importance in the whole scheme of art and cinema. He credits the experience of performing on stage to the success of some of Italy’s leading Neapolitan actors like Toni Servillo. He feels that having that foundation of theater and working so closely with an audience give an actor, especially when doing comedy, a unique perspective. The quality he appreciates the most of theater is the freedom of interpreting a character and giving that character a whole host of emotions from one night to the next ranging from laughter to tears. 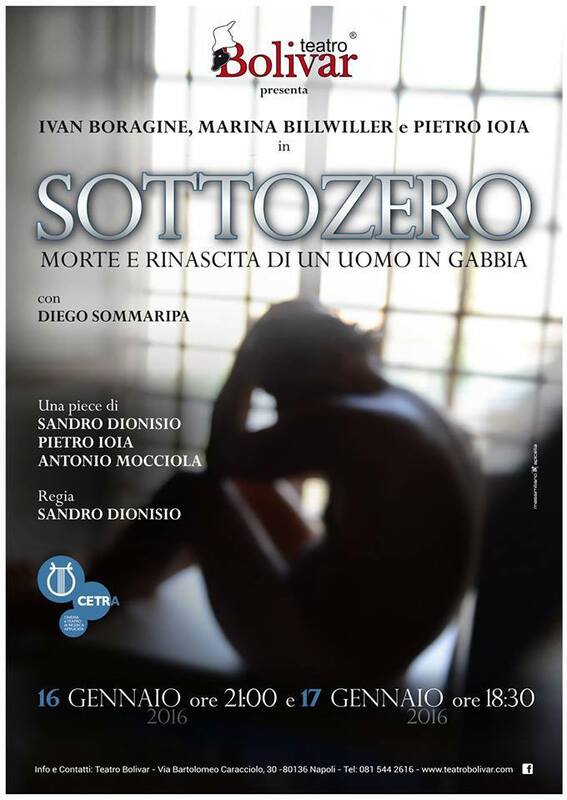 Boragine’s current project is a theater production in his hometown of Napoli, titled Sottozero - Death and Rebirth of a man in a cage. If you’re in Italy, I recommend going. It’s just a two-night engagement on the 16th and 17th of January at the Teatro Bolivar Napoli. Boragine describes the production as “naked, raw truth”. If you have a Regional 2 DVD player, which is easily available through Amazon, you could watch past episodes of Gomorra. Otherwise, Ivan Boragine’s work is pretty tough to find in America. We’ll let you know as soon as anything becomes available stateside. In the meantime, follow Boragine on social media.. Twitter and Facebook.